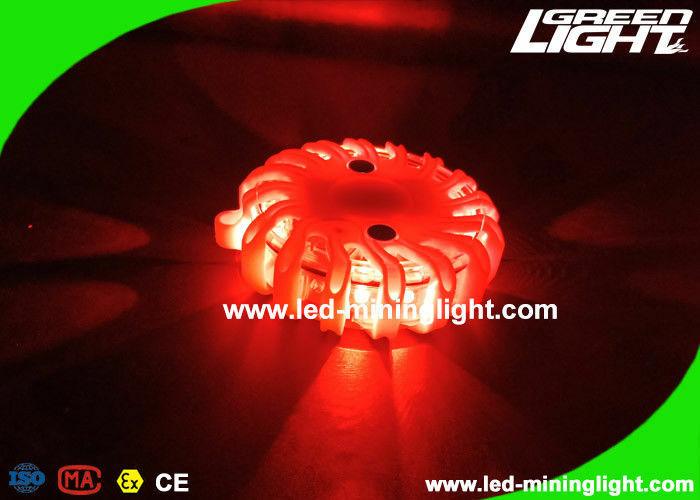 10 different flashing modes: Rotate-quad blink-single blink-alternate-SOS-solid slow-solid high-steady on(2leds)-steady on(4leds). Different flashing modes suitable for different emergency situations. 16 LEDs total, 360 degrees lighting. Shatterproof, crushproof and rainproof plus it has a magnetized base and hook. 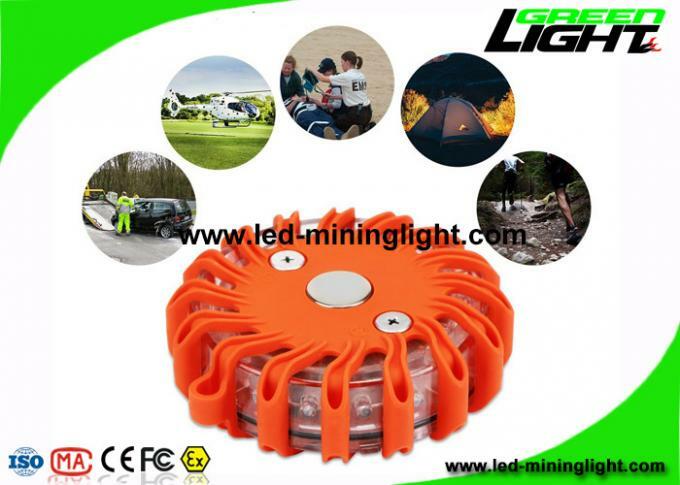 Strong magnetic force: the super strong magnet ensures the led road flare light will stay in place on an iron metal surface such as a car body, car bumper, or road sign. 1. Short press the button to switch the warning light mode. 2. long press for about 3 seconds to turn off the warning light. 3. Double press the button to turn on / off 3 top LED flashlight. Emergency Beacon - These Flares can be seen far distance (1 Mile at night), kinds of flashing modes make this safety flares lights can be used for traffic control, as a warning light, rescue beacon, and for any other emergencies, also can be used for recreational activities such as camping and hiking etc. It is perfect for failed vehicle traffic warning, police road mark, surface float and maritime salvage identifier. Led Emergency Beacon Flares is a high-tech LED electronic safety beacon that replaces those nasty old (and dangerous) wax-covered emergency flares. It’s super rugged, highly visible. Flashing Roadside Emergency Disk (FRED) is a safe, bright and effective tool for warning other motorists of your emergency roadside situation. A safe alternative to road flares, the FRED Light is IP65 rated, shatterproof, extremely bright, floats, and is a highly versatile and valuable tool no matter what your use. The FRED Light is not only for roadside use. Use FRED at home to identify your location so that first responders can easily find you; with a magnetic backing and a flush fitting hook, the FRED Light can be mounted or placed nearly anywhere. In an emergency, seconds count; place FRED outside so emergency personnel can easily find your house. Many Police Departments, Sheriff’s Departments, State Police, Highway Patrol, Fire Departments, Ambulance companies, Air Services, and Civil Services rely on our FRED Lights to keep them visible and out of harm’s way. 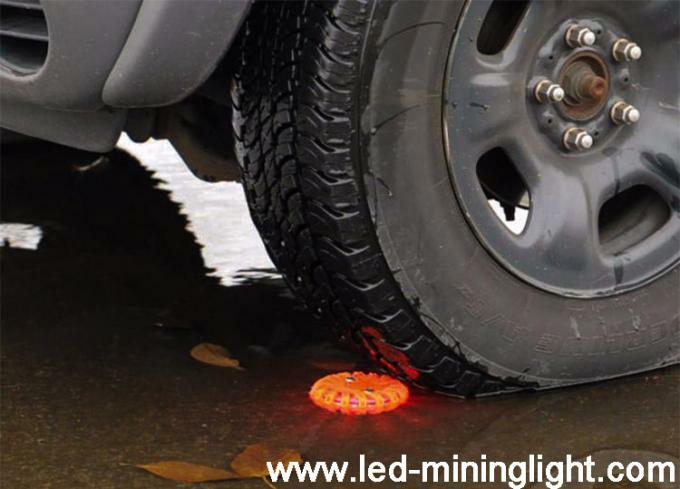 Rechargeable led road flares safety emergency flashing warning light provide 360° illumination for fire, rescue, and police vehicles as well as snow plows, security golf carts, tow trucks, warehouse order pickers, and other industrial and utility vehicles. Water resistant, shockproof, crushproof. Saviour for car breaking down or stranded on a dark, it can also as a warning to other drivers.